A powerful iCloud sync program makes it possible to transfer photos from iCloud to Android devices. You can sync your photos from your iPhone to your PC or your Laptop and then transfer these photos to your Android devices using a USB cable. iSkysoft Toolbox - Backup&Restore (Android) is one of the tool which can be used to transfer photos from iPhone iCloud to Android on Mac or Windows. Now, in this article, we will shows you 2 ways on how to transfer photos from iCloud to Android devices. If you love to click photos and have a lot of photos to deal with, things can become quite irritating using the Photo Stream service. The limitations of the service are a major headache and it forces you to play your hand. However, there are other options such as the iSkysoft Toolbox - Backup&Restore (Android) program which make it very simple for you to deal with transferring photos from iCloud to Android. 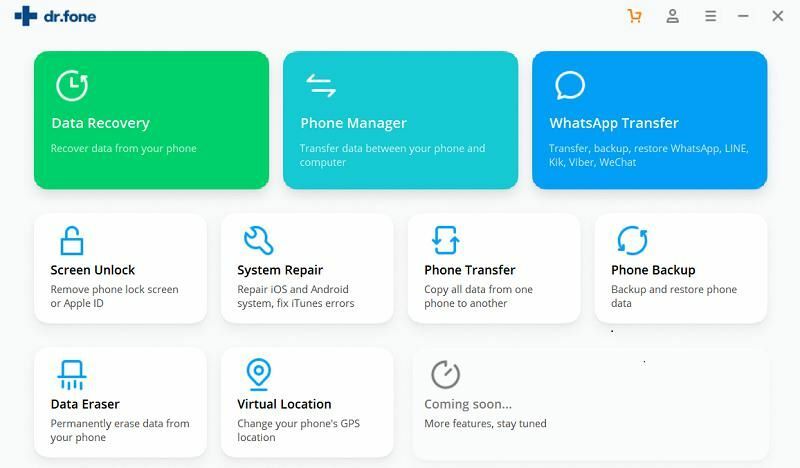 This exciting program can be used to transfer all sorts of data, including your text messages, photos, contacts, music, apps, calendars and more using a single click. 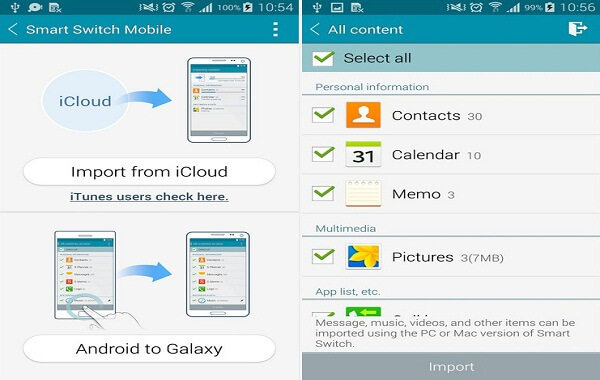 Tranfer apps, videos, contacts, messages, photos and more from iTunes/iCloud to Android. 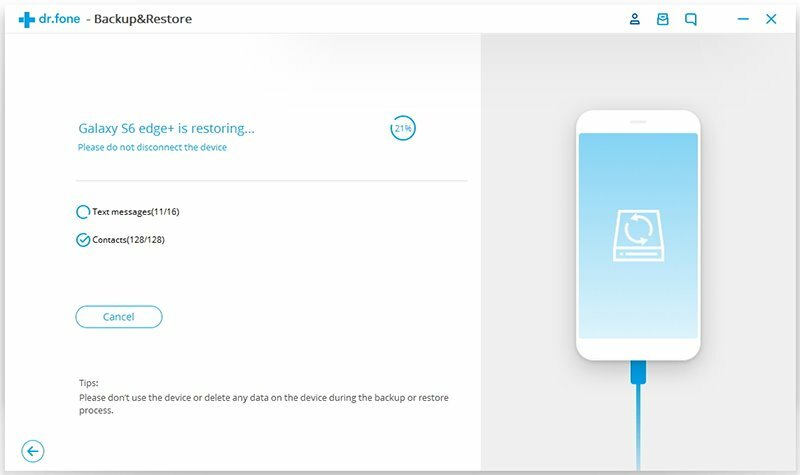 Back up your phone data to your computer in a single eclick. 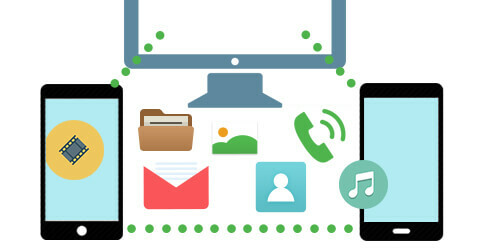 Transfer any data from phone to phone including iOS, Android. Erase your old phone date including existing data and deletes data. Launch the phone tranfer program and connect your Android devices with a USB cable. In the program main interface, click "Backup&Restore". 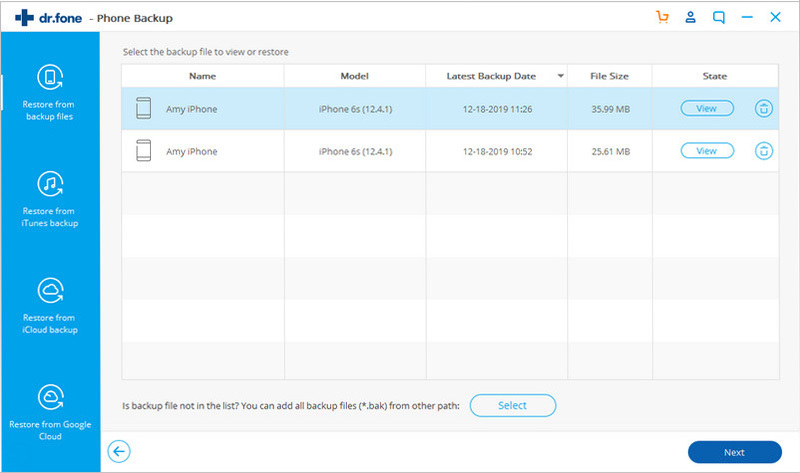 Then select the "Restore from iCloud backups" option. Now log in iCloud with your Apple ID. And then check "Photos" and click "Restore to Device" to transfer photos from iCloud to Android. Enable iCloud on your iPhone. Go to Settings -> Photo Stream and turn it on. 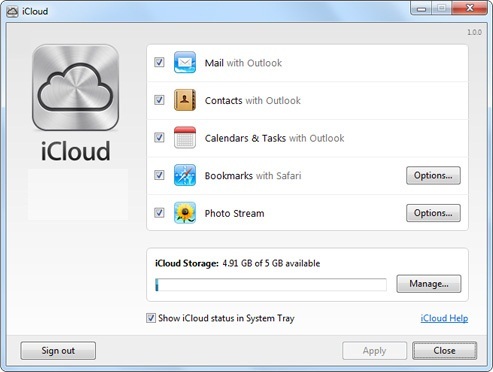 Download the Control Panel for iCloud on your Laptop or your PC from the following address – http://www.apple.com/icloud/setup/pc.html. After downloading the Control Panel on your laptop or your PC, enable the Sync feature. All the photos that are taken on your iPhone automatically get transferred to your laptop or your PC the moment it gets connected to the internet. Remember to keep a track of the folder in which these photos were downloaded. Connect the Android device to your PC or your Laptop using a USB Cable. Transfer all photos that were downloaded on the PC or the Laptop into the Photos folder of your Android device. There are certain limitations that you are subjected to when you use the iCloud Photo Stream service. In other words, although the photos are supposed to be automatically uploaded from your iPhone to your iCloud account when you use the Photo Stream feature, you cannot get all photos from your iPhone to be saved on the iCloud. There are some major limitations to the Photo Stream service. The Photo Stream service only backs up the last 1000 photos. This means that if you have about 2000 photos in the Camera Roll folder, only the last 1000 would get saved onto your iCloud account. If you forget to back up the rest of your photos, you could end up losing the older photos forever. Moreover, if you touch the 1000 limit and take another photo, the oldest photo in your iCloud account gets deleted. The photos that are present in the Photo Stream shall get deleted after 30 days. This means that you need to ensure that your device is connected to the internet and you have iCloud enabled on your PC or your Laptop to have a backup of all photos. iCloud offers users with a maximum of 5GB as storage space. This space is shared between all iCloud data and not just photos. This means that the storage space can fill up very quickly. Users whose storage space is full and they haven‘t purchased more storage from Apple can find that their latest photos aren't being backed up. 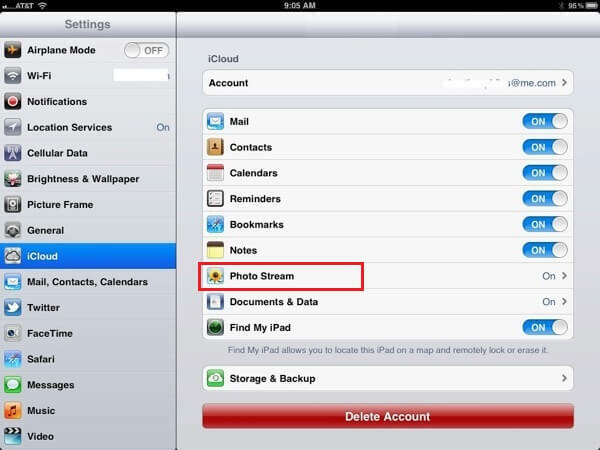 The Photo Stream service offered by iCloud does not back up videos taken on your iPhone. Transferring photos from iCloud to Android shouldn't be a nerve wrecking or a difficult process. How you choose to transfer photos from iCloud to Android depends on your individual preferences, but irrespective of which option you choose, you can always enjoy a seamless experience using either mode of transfer.